This TV wall mount bracket has a slimline design. 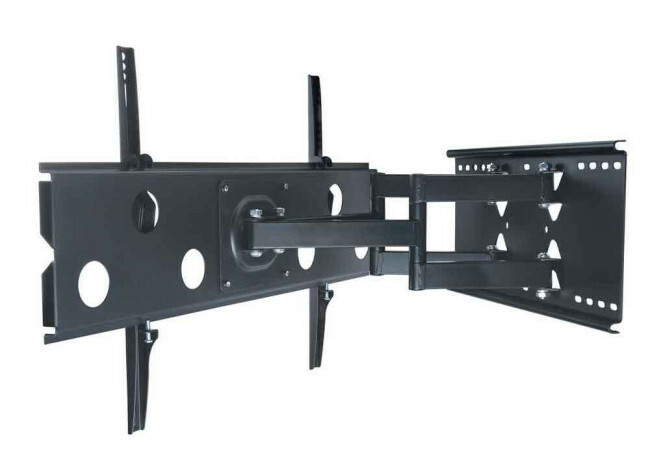 Most brackets which can tilt forwards and also pivot left and right are quite bulky making it impossible to position your TV close to the wall. This model can fold back to within 73mm of the wall. 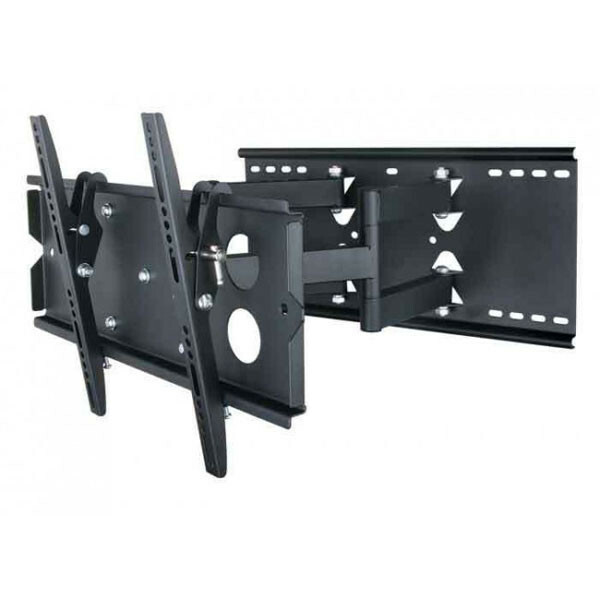 This TV wall mount bracket offers vertical tilt from 0 degrees (flat) to -12 degrees (down), which is perfect if you wish to mount your TV high on the wall and tilt it down. This bracket also allows you to turn your TV up to 45 degrees to the left or right, to suit your viewing position. The back plate on this model is 48cm wide which makes it perfect for homes with plaster walls with a stud spacing of 45cm. This model is also suitable for brick or concrete walls. 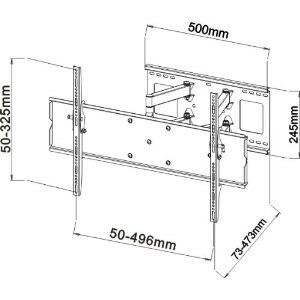 This is a universal type bracket which means it is guaranteed to fit all makes and brands between 23 and 37 inches. It is very east to install and comes with absolutely everything you need in the box. We guarantee that this TV wall mount bracket will fit all screens between 23 and 37 inches. If it does not fit your screen we will give you a 100% refund.